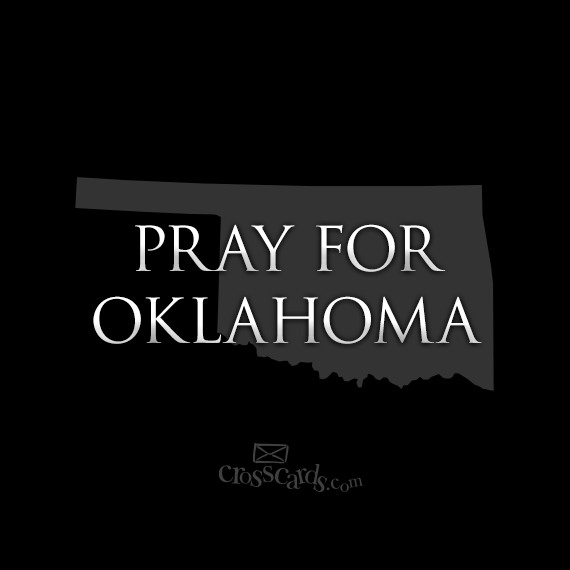 Please, please pray for our family and friends in Moore, Oklahoma. My sister-in-law is a special education teacher in Moore and we just found out that she has lost her home and everything she owns. Her school was NOT one of the ones that sustained a direct hit praise God, but her home was destroyed. She is such an amazing woman who has dedicated herself to her special kids fro almost thirty years. We are waiting to hear if she lost her dog, but we suspect the worst. For those of you who want to help, you can donate on my PayPal site and all the money collected we will send to my sister-in-law so she can begin to rebuild her home. Insurance will only cover so much. You can also contribute to the American Red Cross.